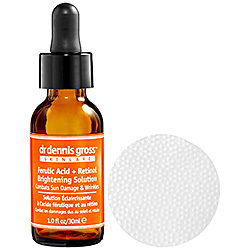 Dr. Dennis Gross Ferulic Acid + Retinol Brightening Solution $85.00 What a price tag, am I right? But does it work? Does it deliver? Here is what I thought playing dermatologist.